Back in November, we stood on stage at the Wareable Tech Awards and handed out gongs to the very best of the wearable tech industry. It was a year that brought us some truly innovative tech, but one wearable stood above them all to become the Wearable of the Year: the Fitbit Alta HR. But how did the Fitbit Alta HR impress the judging panel of industry experts and the Wareable team to be crowned Wearable of the Year 2017? 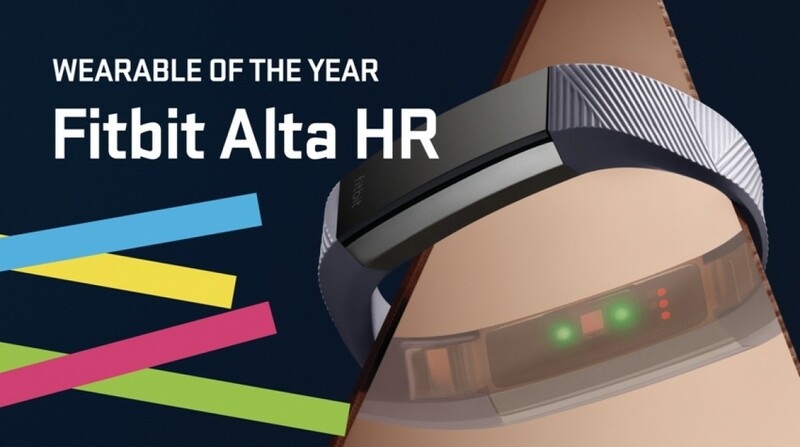 In short, the Alta HR represents Fitbit at its very best. It's a fitness tracker that wraps the most advanced features of its predecessors into one super package; a powerful fitness and wellness wearable with bags of style. Let's explore a little deeper why the Fitbit Alta HR won our Wearable of the Year award. Back when we first reviewed the Fitbit Alta HR, we lauded its week-long battery life and heart rate monitoring – and that formed the basis of the judges' decision. With bpm monitored right from the wrist, the Alta HR also tracks resting heart rate, which is one of the top measurements of improving health – after all, that's the name of the game. In addition, heart rate is now part of the new super-charged sleep-tracking powers of the Alta HR, making it one of the best 24/7 fitness bands out there. By making use of the accelerometer and heart monitor, Fitbit is able to gauge whether you're in light, deep or REM sleep, as well as register your wake times. That data is then presented into Sleep Stages, an annotated graph which loops between each stage and also tabulates how long you spent in each. When looking back on the night, users are able to see how they slept against their 30 day average, with the percentages of light, deep or REM sleep also marked against the average of the user's gender and age. It's powerful stuff. At Wareable we've always championed devices that make sense of the data, and that also caught the eye of our judges. The Fitbit Alta HR's Sleep Stages give you snippets of personalised information regarding your sleep cycle, helping you understand how your sleep stats are trending, and that was a key factor in awarding the Alta HR the big prize. The Alta HR may not be the only tracker that you're able to live with on a 24/7 basis, but its versatility in terms of design is streets ahead of its rivals. Few have managed to cram the same level of smarts into such a wearable package, which underlines its credentials as a Wareable Tech Awards winner. The ability to swap between a sweat-resistant band for the gym and something more stylish for the evening makes it a unique proposition. If you need to transform into a more formal look for work or evening wear, its compatibility with both leather and metal bands makes sure it can handle that, too. And if you want to get the most out of the sleep tracking talked through above, being able to switch up the band to your taste is a huge bonus. The final aspect that really impressed the Wareable Tech Awards judges was the array of Fitbit' challenges though its community. For some, being able to battle against themselves and use the Alta HR's tracking as motivation may be enough, but step counting challenges against friends can quickly turn into competitive battles that have you taking the long route home and stomping out a few extra yards to put you in top spot. Over the last year the array of challenges has blossomed, with options to fit any schedule. It all feeds into providing you with a tracking experience that goes beyond the basics and can help you form lasting habits. Even into 2018 the Fitbit Alta HR represents the best wearable for those looking to get a better grip on their health and fitness. The Fitbit Alta HR brings serious health benefits to the masses – and that makes it a winner in our eyes.